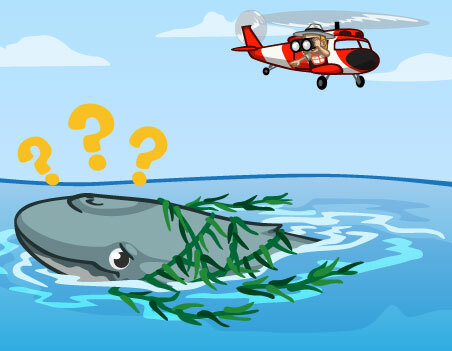 While most of our time in CityVille is spent building homes and businesses on dry land, a new game feature will have us heading out into the water, as a mother whale has become trapped in debris and is separated from her four children! You'll need to not only find the missing children, but will also be required to free the mother whale so they can all "live happily ever after." 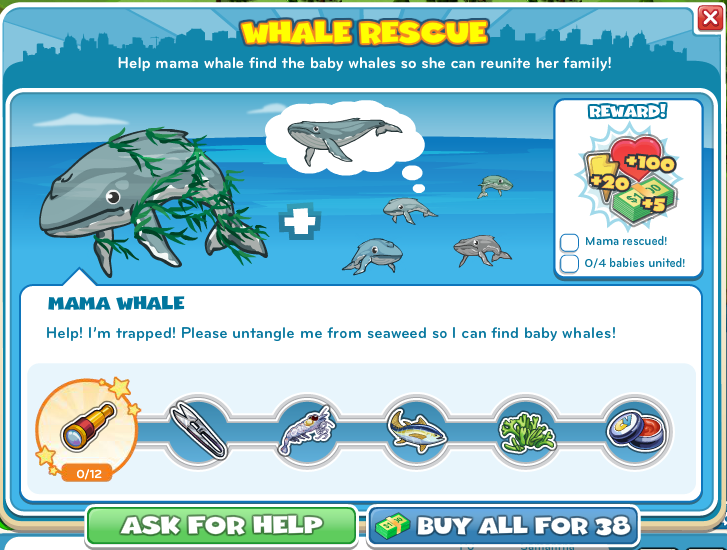 You'll see the mother whale trapped in the water close to your town's coast, but the babies are "trapped" in water expansions that you may not have unlocked yet. If you have unlocked all of the water expansions in the game, you'll find the babies in your inventory and can complete this feature much more quickly, but everyone else will need to collect Zoning Permits and finish it the hard way. Since this feature has two parts (those being to free the mother and also help the babies), it's easy to get overwhelmed, but the mother portion of the event is actually much more complicated than simply expanding to the babies. To free the mother whale, you'll need to complete six stages, asking for help from your friends along the way. You may also need to collect from themed buildings to earn special collectibles to finish the feature. Here's a complete look at the three goals you'll also be able to complete along the way. Once you completely rescue the mother whale, you'll also be eligible to win 100 Reputation Hearts, 20 Energy and 5 City Cash, but whether or not those 5 City Cash make expanding into all of these water squares worth it will ultimately be up to you. Good luck! What do you think of this Whale Rescue feature? Have you already previously expanded to all of the water squares on the game's board, or will you have to spend a lot of time doing that now? Sound off in the comments!